A MUST SEE!!! 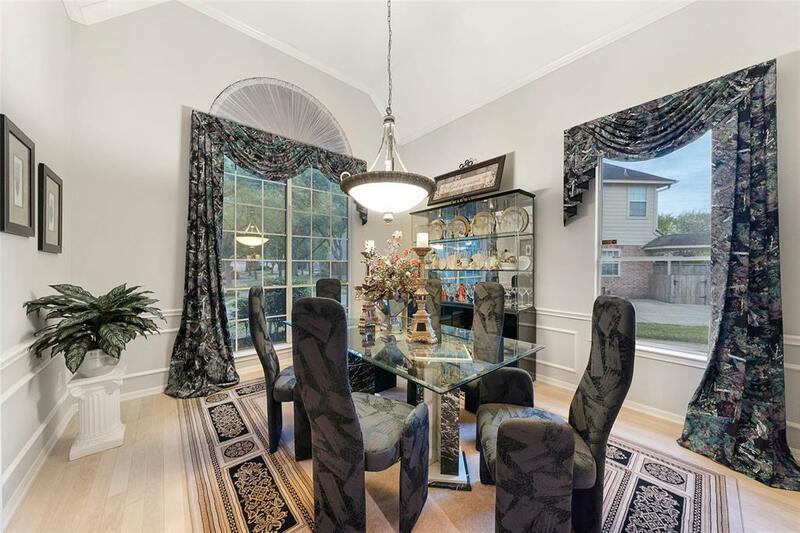 Highly sought after Plantation Bend area. 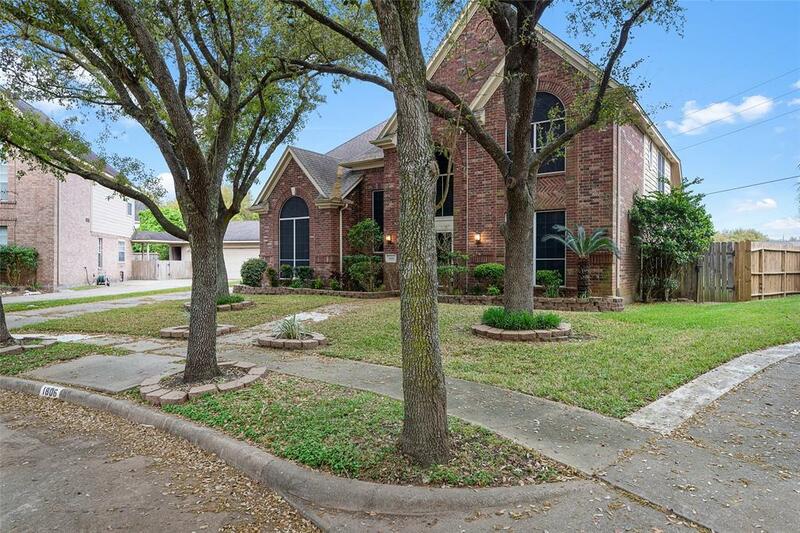 A beautiful home on a large cul de sac lot with a green belt behind. 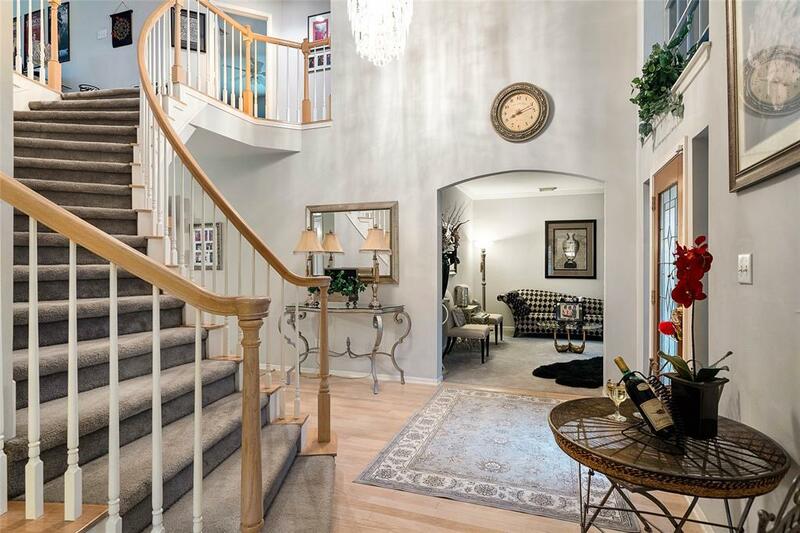 A lovely well maintained 4 bedroom, 3.5 bathrooms, 4 side masonry home. Master bedroom downstairs with a large master bathroom. 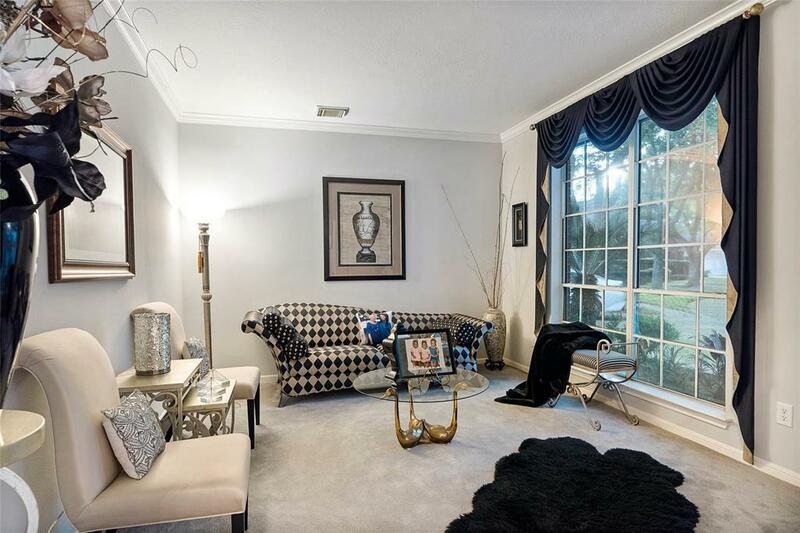 Downstairs has 2 family area, kitchen with breakfast area and a formal dining room and half bathroom for guest. 3 additional bedrooms upstairs with a built in bar, additional living/game room, an office, and 2 full bathrooms. Recent updates: New roof, new HVAC, solar window screens, ceiling fans, garbage disposal, tile floors downstairs, and additional outside lighting. THIS HOME WAS NOT FLOODED IN HARVEY.